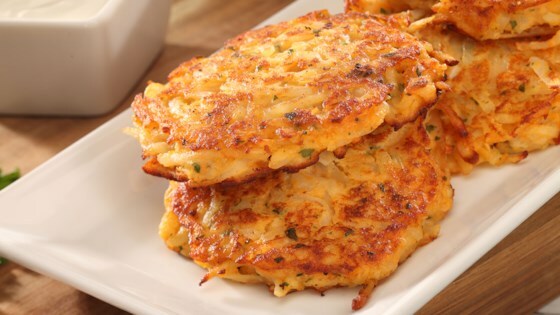 "Latkes, or potato pancakes, are a traditional Jewish dish often served during Hanukkah. This version features Bruce's Yams Cut Sweet Potatoes and parsley." In a large bowl (using a hand beater) whip the Bruce's Yams Cut Sweet Potatoes until creamy. Heat peanut oil to 375 degrees F in an electric skillet (or a heavy skillet over medium-high heat). *2 tablespoons. minced candied (crystallized) ginger can be added to the brown sugar-pecan mixture if desired.